WHAT’S UP WITH THIS???? (NaturalNews) Over one year ago, the federal government granted immunity to CDC whistleblower, Dr. William Thompson. Thompson was a senior epidemiologist for the CDC who co-authored and published research on the MMR vaccine back in 2004. In the summer of 2014, Thompson came forward and revealed data linking the MMR vaccine to autism – data that had previously been concealed by the agency. In 2014, Natural News featured a letter from Dr. Thompson to the then-director of the CDC, Dr. Julie Gerberding, dated February 2004. In the letter, he expressed his concerns about how the CDC was concealing information linking the MMR vaccine to autism. Dr. Gerberding is no longer director of the CDC; she now holds the position of executive vice president for the pharmaceutical giant Merck. Surely, no conflict of interest there, even though Merck is the sole manufacturer of the MMR vaccine. 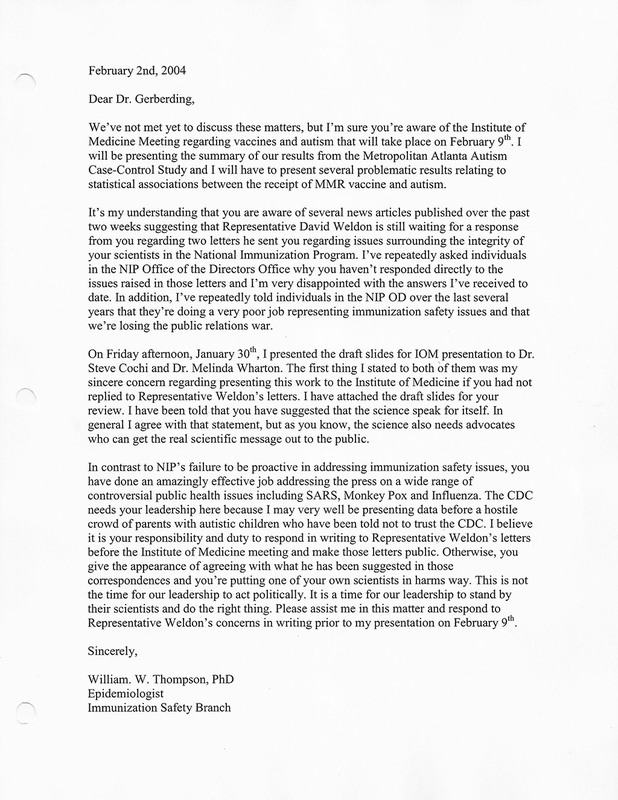 Recently, Representative Bill Posey submitted the statements from Dr. Thompson regarding the CDC’s MMR vaccine and fraudulent behavior into the Congressional record. One would think that this would have made headlines across the web, but it has largely been swept under the rug. After all, the mainstream media wouldn’t dare to disrupt their own false realities. Next CA SB 277 Lawsuit – Mandatory Vaccines- Case Dismissed! Please hurry and stop these multi shot vaccines. I have four five babies in my extended family that will soon be forced to have these multi vaccine shots, one great grandchild and four nephews and nieces. All these babies live in states which require the multiple shots.